You could spend all your free time trying to perfect your disco moves to impress all the ladies, or you could just show off you immaculate sense of style with a snazzy leisure suit, while it may not be velour or velvet it still is sight to see. It lets all the girls know that you like to be a sharp dressed man, while at the same time have no problem keeping it casual. It also might let them know that you're totally stuck in the past, but some girls are into that, you never know! Play that funky music white boy! 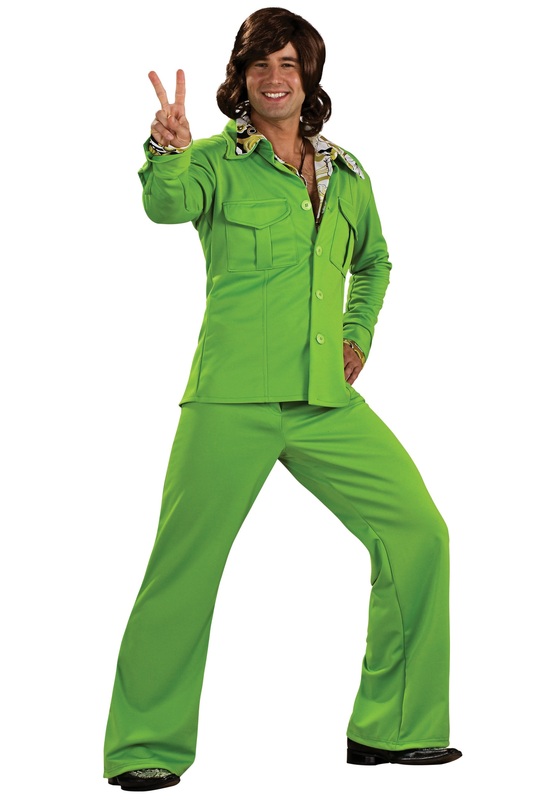 You are ready to bust a move or maybe a hip out on the dance floor while dressed in our lime green leisure suit! Looks from the past always make a comeback so maybe you can hurry up this trend to come back by sporting this groovy look all over town! You don’t need a special occasion to look your best! Good luck finding a gem like this at the thrift store, you’ve got to jump on an iconic piece like this when you see it! Pair it with your best pair of platforms or a perfectly paisley button up for a look that is sure stand out among the crowd. You’ll be boogying your way into the ladies hearts in no time, better start brushing up on those smooth talking skills.